SCHALI® -products are a new generation of innovative health care products for a wide range of applications in therapeutic techniques developed for purposes of those products and intended to treat endocrine, cardiovascular, general metabolic disorders, incomplete oxidation, cancer, ulcer, inflammation conditions in gynaecology, urology, orthopedics, stomatology etc. Mechanism of action of SCHALI® products and techniques is directed at boosting cellular energy exchange and therefore at synergistically improving therapeutic effect of common medicines, when used together, and accelerating time of treatment. SCHALI® Care – is a line of female and male regenerating bactericidal anti-inflammatory products for complete hygienic care and protection. SCHALI® Care products are made of natural hypoallergenic ingredients of mineral and plant origin and are intended for everyday complex skin and mucosal care. The products may be also used for prevention and treatment of a wide range of dermatologic, autoimmune, endocrinal, orthopedic, rheumatologic, gynaecological, urological etc. conditions, resulting in synergistically improved action of therapeutics and shorter time of treatment. Effective treatment and prevention of different skin conditions. Health beneficial natural nutraceuticals, minerals and vitamins contained in the formulations of SCHALI® provide necessary functional nutrition to human cells, remove toxins and free radicals, and immobilize incoming dietary fats. 100% encapsulated ingredients of SCHALI®-D Bio-Complexes reach their intended target. Restoration of cellular energy exchange, resulting in significantly better homeostasis and faster recovery time. SMC SCHALI® may contribute to better psychoemotional condition and integral functions such as dietary habits, sleep, circadian rhythms, neuroendocrine reactions, memory, leaning ability, pain tolerance. Improving libido and sexual desire. TLD SCHALI® is a line of therapeutic laser devices for photodynamic therapy (PDT). Focused light irradiation of adjustable wavelength range and power (J/cm2) enables a targeted photoeffect in problem site(s). Effective treatment in a wide range of applications. QD SCHALI® photoactive mineral complex in the formulations of SCHALI® Dental products acts against numerous bacterial and viral infections in mouth and throat, resulting in both highly-effective preventive and therapeutic effects. SCHALI® Dental products may be used in combination with laser toothbrushes and photodynamic appliances. Synergistic effect in combination with common therapeutics and techniques. SCHALI®-T/0.6 Rejuvenation is a titanium dioxide and DNA-containing formulation that may be used intramuscularly for rejuvenation of biosystems. 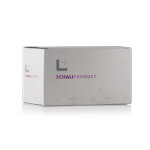 SCHALI®-T/0.6 Rejuvenation is intended to improve cellular metabolism by increasing antioxidant defence and oxidation function (additional oxidation of carbohydrates, lipids, better microcirculation etc.). The product may deliver nucleonic material (DNA) directly to targeted cells. SCHALI®-T/0.6 Adjuvant is a titanium dioxide-containing formulation that may be used intramuscularly in scope of adjuvant cancer therapy. SCHALI®-T/0.6 Adjuvant may be used after a course of general cancer therapy, for support in scope of chemotherapy, radiotherapy, hormonal therapy, targeted therapy, biotherapy, photodynamic therapy and for lower risk of relapse. SCHALI®-S/0.6 Antidiabetic is a silicon dioxide-containing formulation that may be used intramuscularly for restoring broken oxidation mechanism in metabolic disorders (diabetes conditions, obesity etc.). SCHALI®-S/0.6 may improve metabolism by increasing antioxidant defence and oxidation function (additional oxidation of carbohydrates, better microcirculation etc.). Preventing development and helping in treatment of hypertrophic adipose tissues and degradation of hepatic cells. SCHALI®-S/0.6 Atherosclerosis is a silicon dioxide-containing formulation that may be used intramuscularly for better lipid metabolism in atherosclerosis conditions. SCHALI®-S/0.6 may induce metabolism by increasing antioxidant defence and oxidation function (additional oxidation of carbohydrates, better microcirculation etc.). Comprehensive advice and support in implementation of innovative "SCHALI® Personal Pharma" health care programme. SCHALI® Personal Pharma will give you access to a wide range of new SCHALI® methods and techniques of medical treatment: selection of SCHALI® products and techniques, schemes of treatments aimed at best therapeutic results. You may continue using your current therapies and techniques of treatment you trust in, at the same time you will have opportunity to supplement them with our innovative products. Examination of your patients, primary advice, and evaluation of lab tests – your common healthcare practice. Diagnosing with regard to lab tests results, examinations, clinical case records etc. Selection of treatment techniques and protocols and prescription at your discretion. Supplementation of the prescribed therapy with SCHALI® Personal Pharma for best therapeutic results. Correction of the scheme of SCHALI treatment following latest patient’s lab tests results, examination outcomes, evaluation of changes in patient’s condition throughout SCHALI® Personal Pharma health care programme. Having an easy access to your patient’s medical case records in your doctor’s profile account, monitoring your patient’s latest lab tests online, controlling your patient’s condition, correcting your patient’s scheme of treatment, responding to your patent’s questions. Counting number of users (your patients) recruited to SCHALI® Personal Pharma and their purchases. Counting number of your advices, chats, live video calls etc. with SCHALI® Personal Pharma members and calculating your rewards (for your services and support in Online doctor. By using her /his personal patient’s code that you have generated for your patient, your patient will get access to SCHALI® Personal Pharma: selection of SCHALI® products for her/him at a special price, further advantages of SCHALI® – Titanium Loyalty programme. Once your patient has completed her/his health care programme, you’ll estimate her/his results achieved and develop for her/him a new post-programme health care support for maintaining and preserving her/his health condition. New generation of our innovative health care products for a wide range of applications in prevention and treatment of numerous human disorders for best therapeutic results. Detailed description on SCHALI® products, treatment techniques and health care programmes developed and successfully applied worldwide to treat more than 300 human disorders. SCHALI® leaflets and booklets, providing necessary information on SCHALI® products and techniques, trainings, conferences etc. that SCHALI® Group scheduled for upgrading professional qualification, professional discussions on interesting cases, development of new techniques of treatment etc. Advice: we’ll provide you with complete information on our products and techniques for easy reference. Technical support: help in operating SCHALI® website, applications, software. You will be able to purchase SCHALI® products at a special manufacturer’s price, if you apply SCHALI® techniques in your medical practice. You will get rewards for your service and participation in SCHALI® Personal Pharma health care programme, as it is specified in your cooperation agreement. You can use our online platform «Health Сontrol Online-office» to register your patient’s (SCHALI® Personal Pharma members) case records and will have an easy access any time you like to check the records or consult your colleagues or send a message. Besides, you'll benefit from our automated work hours counter and statistic data generator. You’ll enjoy participation in our annual international conferences, trainings and attested internship, if necessary, at our expense. Application of SCHALI® photodynamic therapy techniques in treatment of numerous human disorders. SCHALI® Technique of Photodynamic Therapy (PDT) synergistically combines both therapeutical effect of infrared laser light power (J) capable of penetrating deeply into human tissues and healing effect of active oxygen forms generated by unique photosensitizing QD SCHALI® crystals in formulations of SCHALI® Care photoactive products. In contrast to other methods of physio- and phototherapy, SCHALI® PDT Technique allows to relieve multiple unpleasant symptoms after the first treatment session only. Moreover, SCHALI® PDT Technique alters the status of condition by inhibiting disorder’s progress. Selection of the field(s) of application you are interested in: dermatology, gynaecology etc., for which you are qulified and may operate medical laser appliances. Examination of your patients, primary advice, evaluation of lab tests – your common healthcare practice. Diagnosing with regard to your patient’s latest lab tests results, examinations, clinical case records etc. 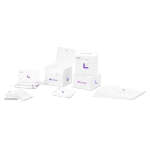 Selection of SCHALI® PDT technique, scheme of PDT treatment, products for PDT treatment at your discretion with regard to your common healthcare practice. Correction of the scheme of SCHALI® PDT treatment following your patient’s latest lab tests results, examination outcomes, evaluaton of changes in patient’s condition throughout SCHALI® Personal Pharma health care programme. Counting number of your patients recruited to SCHALI® Personal Pharma and their purchases. By using her /his personal patient’s code that you have generated for your patient, your patient will get access to SCHALI® Personal Pharma: selection of SCHALI® products for her/him at a special price, advantages of SCHALI® – Titanium Loyalty programme. Unique SCHALI® laser appliances: TLD SCHALI® with adjustable wavelength range and power (J/cm2) for a targeted photoeffect on different lesions in scope of a photodynamic therapy of a wide range of human disorders. Feedback on patient’s condition during PDT treatment and following automated correction of current PDT treatment mode. Unique photoactive QD SCHALI® complexes in the formulations of SCHALI® Care products are capable of synergistically improving therapeutic effect in scope of PDT treatments. SCHALI® Care products are intended for hygienic care and protection of skin and mucosa, inducing cellular regeneration, acting against bacteria and microbes, and may be used alone or in combination with laser light exposure devices in scope of PDT. The products may be used in healthcare facilities, outpatient care, and homes. Medical products made of SCHALI®-S/5-S and SCHALI®-T/10-S suspensions may enhance metabolism, blood supply and oxygenation. The products may synergistically improve therapeutic effect of medicines, when used together, and may successfully supplement and support rehabilitation after treatment. Health beneficial natural nutraceuticals, minerals and vitamins contained in the formulations of SCHALI®-D dietary supplements provide necessary functional nutrition to human cells, induce regeneration and metabolism. Our healthcare specialists have already developed SCHALI® medical techniques for most common human disorders. You will receive our detailed description on SCHALI® PDT techniques. 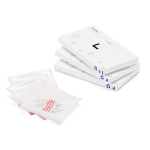 SCHALI® leaflets for healthcare specialists and patients. Support in patient management and advice throughout our cooperation. We arrange regular SCHALI® trainings and upgrade qualification programmes in leading clinics worldwide. You will get rewards for your active services and participation in SCHALI® Personal Pharma health care programme. You agree to be SCHALI online doctor and to advise members of SCHALI Personal Pharma health care programme throughout the membership. You will analyse medical case data of a SCHALI® Personal Pharma health care programme members (personal data, diagnosis by attending medical doctor, prescribed medicines, hereditary predisposition, lab tests results as specified in the member’s Personal profile) and develop a member’s personal health care programme. You will advise SCHALI® Personal Pharma health care programme members online in live chats, emails, live video calls in accordance with the schedule given in your «Health Сontrol Online-office». Live video calls, webinars with SCHALI® Personal Pharma health care programme members or groups of members will be done in accordance with the schedule and on the earlier agreed subject only. You will advise SCHALI® Personal Pharma health care programme members for the matters pertaining correction of scheme of treatment and method of use following the member’s latest lab tests results specified in the member’s "Observation book". You will regularly monitor changes in member’s health condition throughout SCHALI® Personal Pharma health care programme. Once SCHALI® Personal Pharma health care programme member has completed the programme, you’ll develop a post-programme support for that member aimed at maintaining and preserving member’s health condition. You will accompany members throughout SCHALI® Rejuvenating programme. Your personal online calendar / diary for planning and scheduling: appointments (for both your patients and SCHALI® Personal Pharma health care programme members) with integrated time counter for easy recording and tracking. 24 hours access to SCHALI® Personal Pharma health care programme member’s profile: medical case records, lab tests results, personal indications, selected SCHALI® products, changes in member’s heath condition. Easy connection to SCHALI® Personal Pharma health care programme members or groups of members: live chat, live video call, mailings. Direct access to Referral system to recruit new members to SCHALI® Personal Pharma health care programme. Statistics forms to control performance of obligations of yours and SCHALI® Group. Database for SCHALI® health care programme and detailed description of methods of use for SCHALI® products in more than 300 applications that we have collected through the years of our successful international experience. Training programmes and information support on SCHALI® products and techniques, agenda of international conferences, attested internship, professional discussions on interesting cases etc. 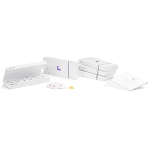 Easy access to member’s personal profile - lab tests results for easy control and management in any format you need. Easy communication: live chat, mailings, live video calls. Data on location of SCHALI® Personal Pharma health care programme member: you may make a personal appointment for an offline personal interview. How to start SCHALI® cooperation?